You wish to work in the Netherlands as a highly skilled migrant. You need a residence permit for this. What are the conditions for this residence permit? And how does the application procedure work? You do not have the nationality of an EU/EEA country or Switzerland. You live outside the Netherlands. You have an employment contract with a company located outside the EU. You are going to be transferred as a manager, specialist or trainee to a branch in the Netherlands. You have an employment contract with an employer or research institution in the Netherlands. This employer is a recognised sponsor by the IND. Recognised employers are listed in the Public Register of Recognised Sponsors. You are going to earn sufficient income. This income is independent and long-term. Your income is sufficient when your gross monthly wage at least equals the standard amount for singles or spouses / unmarried couples living together. This depends on your family situation. The appointment decision or the employment contract is signed on behalf of the institution. This decision or contract states the job description and the job code as set out in the University Job Classification system (UFO). The training institute has been assigned by the Medical Specialists Registration Committee (MSRC), Social Medicine Physicians Registration Committee (SGRC) or General practitioner and Nursing home Physicians Registration Committee (HVRC). You are registered in the BIG-register. BIG stands for ‘Individual Healthcare Professions’. A registration allows the employer to have a care provider practise independently in the Netherlands on the basis of a diploma awarded in another country. Your employer must keep proof of this registration in his records. You have an employment contract, an appointment decision, a guest agreement or an employer’s declaration from the foreign employer. This states the duration of the transfer, the type of employment as well as your income. Your employer can also submit this application online. He can do this in the Business Portal. This application costs € 582. You are married to each other or have entered into a registered partnership together. Or you are unmarried and have a long-term and exclusive relationship with each other. Your partner is a Dutch citizen. Your partner lives in the Netherlands and has a residence permit for a non-temporary purpose of stay. You and your partner both live abroad and travel to the Netherlands together. Admission of the family member is in the interests of minor children. You are both 21 years or older. Your partner has reached the AOW pension age. Calculate whether your partner has reached AOW pension age. Your partner is permanently and fully unfit to work. Contact the IND for more information. Your partner is permanently unable to meet the requirement for labour participation. Contact the IND for more information. You are going to live with your partner and will register at the same address as your partner’s. 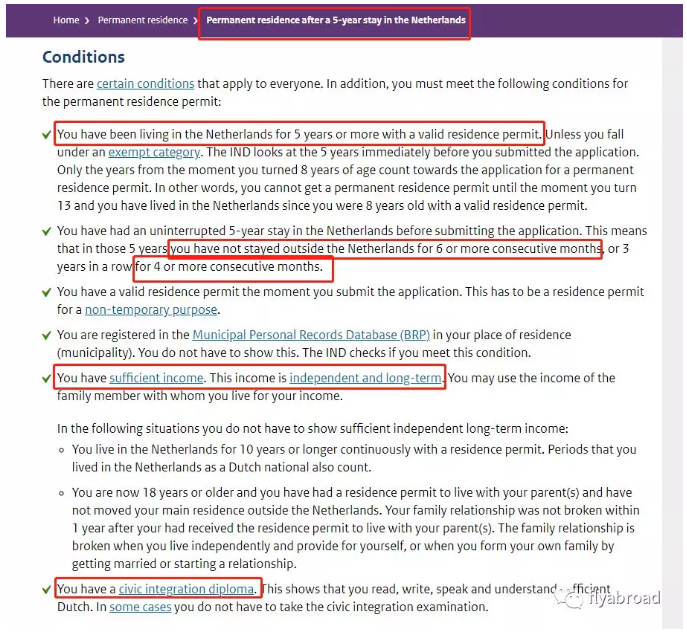 You wish to have your child live with you in the Netherlands. Your child needs a residence permit to live in the Netherlands. What are the conditions for this residence permit? And how does the application procedure work? Your child is under 18. Your child has not started a family of his own. Your minor child is living independently and financially provide for his own maintenance. Your minor child has the care or duty of care for an (illegitimate) child or other dependent family members and there is one of the above two situations. 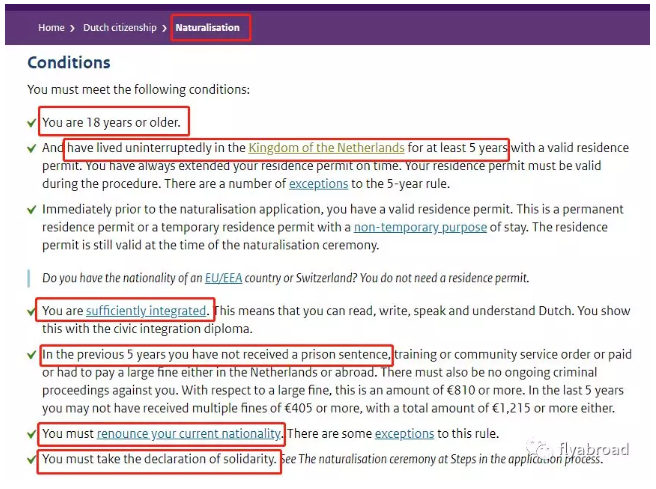 Your child is going to live with you in the Netherlands. You register your child as living at the same address as you are. You are a Dutch citizen. 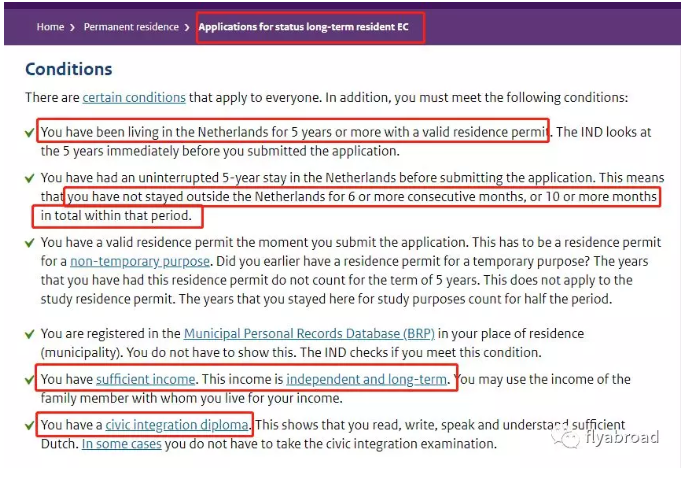 You live in the Netherlands and have a residence permit for a non-temporary purpose of stay. You and your minor child both live abroad and travel to the Netherlands together. You and your partner are married or have a (registered) partnership with each other. Your partner is a Dutch citizen or has a residence permit in the Netherlands. You and your partner live together. You have custody of your child. Is there a parent staying behind in the country of origin and who also has custody of your child? That parent then has to sign a declaration of consent. In this declaration the parent consents to the child leaving to go to the Netherlands. You declare that you are the sponsor of your child. What is the change? The Dutch government has set the 2019 salary thresholds for high-skilled foreign workers in the Highly Skilled Migrants program, EU Blue Card program and others. What does the change mean? As of Jan. 1, the minimum gross monthly salary, not including an 8-percent holiday allowance, will be as follows. Highly Skilled Migrants 30 years or older: €4,500. Highly Skilled Migrants younger than 30 years: €3,299. Highly Skilled Migrants after graduation or after job search year/highly educated persons: €2,364. EU Blue Card holders: €5,272. Background: The salary thresholds are indexed annually. 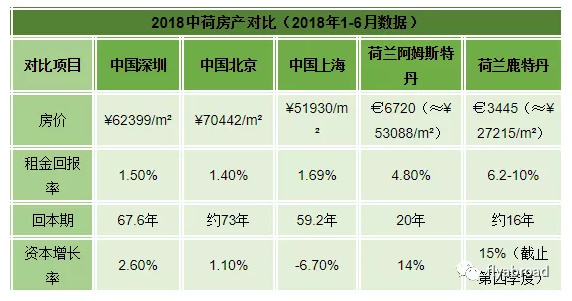 The amounts set for 2019 represents a 2-percent increase over current thresholds in each category. In order to meet the salary threshold, employers may include monthly salary components that are gross, guaranteed, and paid directly into the bank account of the employee. In-kind benefits or wages that are not guaranteed, such as performance bonuses, cannot be included to meet the monthly salary threshold. Analysis & Comments: Employers should plan to apply the 2019 thresholds to applications filed after Dec. 31. Applications filed before the end of the year are subject to the 2018 salary thresholds. The fees are calculated annually on the basis of the index of negotiated wages as calculated by Statistics Netherlands. The other fees for 2019 are not yet known. An overview of the current fees can be found on this page. ​You want to apply for a permant residence permit. One of the conditions for this residence permit is that you have income. 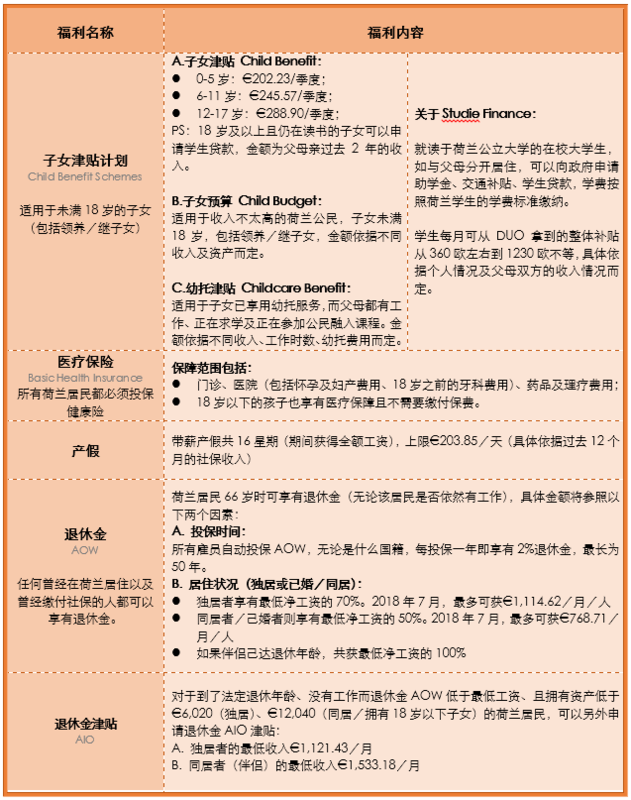 On this page you will read the income requirements. You earn an independent income: this is an income for which you have paid taxes and social security contributions. Your income is sustainable: this means that you receive your income for a longer period. You have sufficient income: this means that your income is high enough. The requirements are now explained further. An independent income is an income that you earn yourself and for which you have paid taxes and social security contributions. Read if you income is independent. Your income is sustainable if you receive for a longer period. Read the page When is my income sustainable?for more information on the sustainability of your income. The amount you have to earn, is called the required amount. The required amount equals 70% of the statutory minimum wage. The statutory minimum wage and the required amount change every 6 months, on 1 January and 1 July. Check the required amount for you. And read how the required amount is calculated for your income.